The modern mail delivery system used in the United States depends heavily on the work of an army of contractors, truckers, mail carriers, and sorting machines. Sometimes, though, there’s a breakdown in the chain and things get lost. That’s what happened over the weekend outside of St. Louis, Missouri. 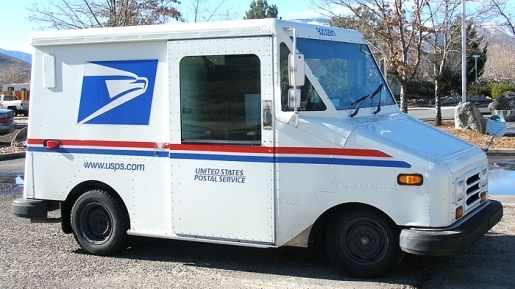 A big rig truck carrying mail for the United States Postal Service left a trail of lost letters along nearly 70 miles of interstate roads after the doors of the truck came open during transit. Talk about getting lost in the mail! The 70 miles of mail was scattered throughout the roads from Maryland Heights to Ste. Genevieve County. The big rig truck left a trail of mail along two interstates, I-270 and I-55, which connect St. Louis, Missouri, to Memphis, Tennessee (the mail truck’s destination). The call came in at 7:30 AM and cleanup was completed by 10:30. The recovery took a concerted effort by a team of state troopers, local police from nearby Maryland Heights, and federal postal inspectors. All missing parcels are believed to have been recovered and will be delivered as expected.